Edward Estlin Cummings was born on this day in Cambridge, Massachusetts, USA in 1894. Today is the 118th anniversary of his birth. As a child Cummings enjoyed art and writing, as well as the outdoors. His mother encouraged him to write. 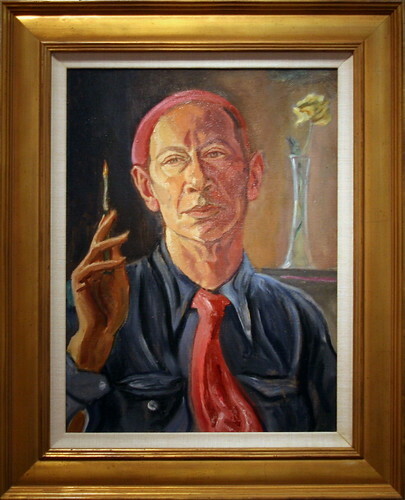 And Cummings worked at his craft by writing daily. He went to Harvard where he became interested in non conventional poetry. During World War I he was an ambulance driver in France and fell in love with Paris. But he sent letters home that “holding views critical of French war effort” [e.e. cummings Biography] He was arrested and thrown in prison for three months. His book The Enormous Room is based on his experiences in the French prison. He was later drafted into the US Army. His first collection of poems, Tulips and Chimneys came out in 1923. Although his poems received critical praise — he won the Dial Award for poetry in 1925 — Cummings found it hard to find a publisher. His poetry was considered too avant guard. 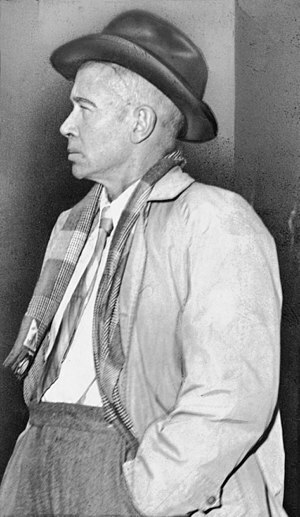 Cummings died in 1962 from a stroke. This entry was posted on Sunday, October 14th, 2012 at 8:51 pm	and tagged with E. E. Cummings, Poetry and posted in e. e. cummings, Poerty, postaday, Thought of the Day, Today's Birthday, World War One, Writing. You can follow any responses to this entry through the RSS 2.0 feed.